Another busy week has gone by....it's Sunday again! Yesterday was a cold and rainy day...ALL day. I took Ella to the library while Stephen went to work. When he came home, I went into work for a bit to get a few things ready for testing this upcoming week. Since the day was nothing exciting or special, I thought it would be nice to go out to dinner just the three of us. We tried out a yummy Italian place nearby. As soon as I walked in and saw a man playing the guitar and singing "that's amore"....it felt like home (New York, baby)! The food was delicious too...we will be back for sure! We are sticking close to home again today. Maybe we will take Ella for a ride in her wagon to the park up the road, but that's it. 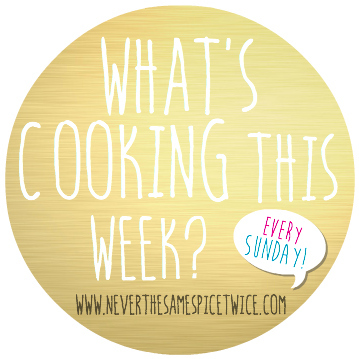 Staying home, cooking sauce and watching movies sounds like just the right kind of Sunday for me! I have leftover gingerbread mix and snowflake sprinkles...maybe I'll have her help me make gingerbread snowflakes. That's the extent of my baking! Ella had a blast making cookies during December, I said I would try to do it more "year-round"! I don't have a sweet tooth, so cookies aren't typically a threat to my healthy eating! I love creating opportunities for this little sweetie to help me in the kitchen (don't mind all the stuff on the counter, #reallife)! We bought her the cutest step stool that has two steps! It brings her up to the perfect height! The other night she watched me make white chicken chili and I let her rinse the beans. I caught this little thief sneaking beans out of the strainer more than once! That's about it over here! I hope you all enjoy the rest of the weekend! Yea!!! You are back to the blog world. Welcome Back! You were missed and cannot wait to read and catch up! Take care! !